My new book is here!!! 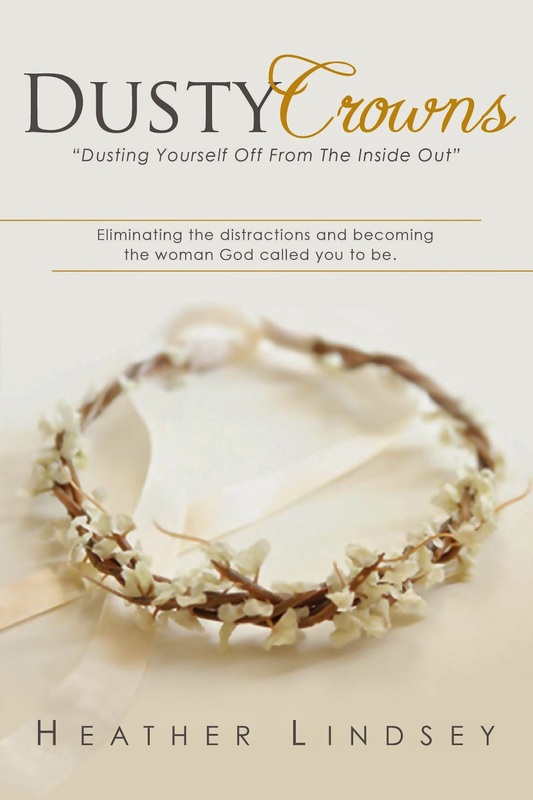 "Dusty Crowns"
Have you ever felt like you are completely inadequate and regardless of what you do—you still don’t feel good enough? 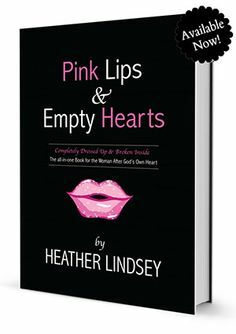 Well, Heather Lindsey felt the same way for years and she would try to earn God’s love and affirmation. 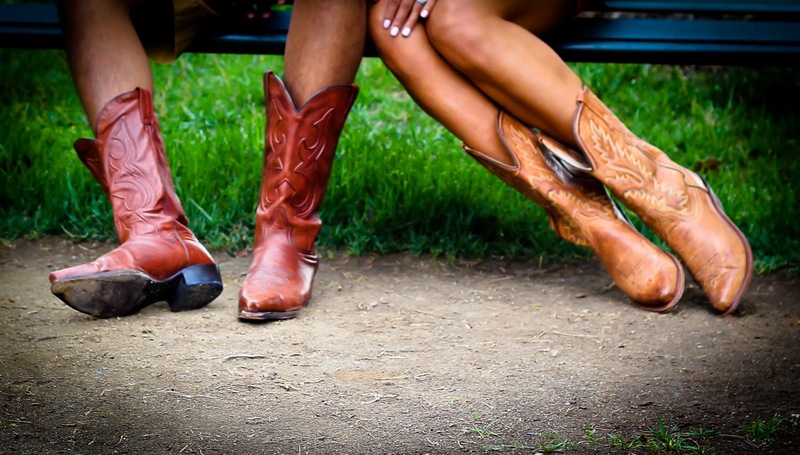 After searching to fill her “God voids” in things, she learned what it meant to be the crown of her spiritual husband, God. Instead of chasing after unhealthy relationships, money and things, she sought a relationship with Jesus and He dusted her past off and made all things new. This book is a reminder that regardless of how far you have gotten away from God, He is still right there, ready to dust you off and make you whole. 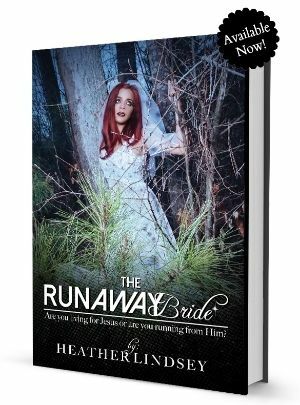 • Learn what it means to be the crown of Jesus Christ and the crown of your physical husband, from the inside out. • Learn to protect your heart, mind and life from distractions. • Learn to enjoy the current season of your life and develop into the woman God called you to be. • Learn to refuse to settle for anything or anyone less than God’s best for your life. • See yourself how God sees you—valued, beautiful and special in His eyes. 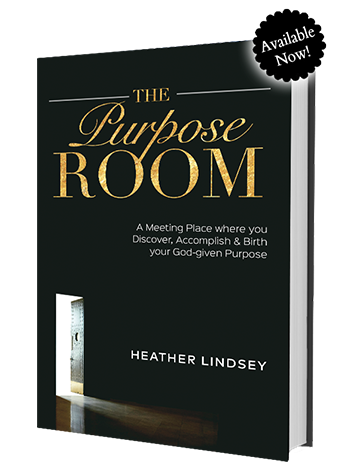 Join Heather Lindsey on a heart-to-heart journey to becoming who God called you to be from the inside out. 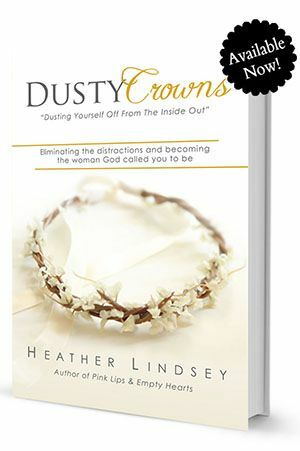 Dusty Crowns challenges women, whether single or married to be beautiful from the inside out and to accomplish the will of God for their life. Thank you SO much for the love and support. After ONE day, the kindle version became the #1 best selling book! God is faithful. ALSO, my amazing husband released HIS book as well! Its called: "Learning How to Walk: Inspiring Others to Walk By Faith" & you can find it here.